Gravity and pumped drainage systems with pipe sizes ranging from 100mm to 1200mm diameter and precast concrete culvert section. Deep drainage typically up to 5m deep trenches to both foul and surface water. 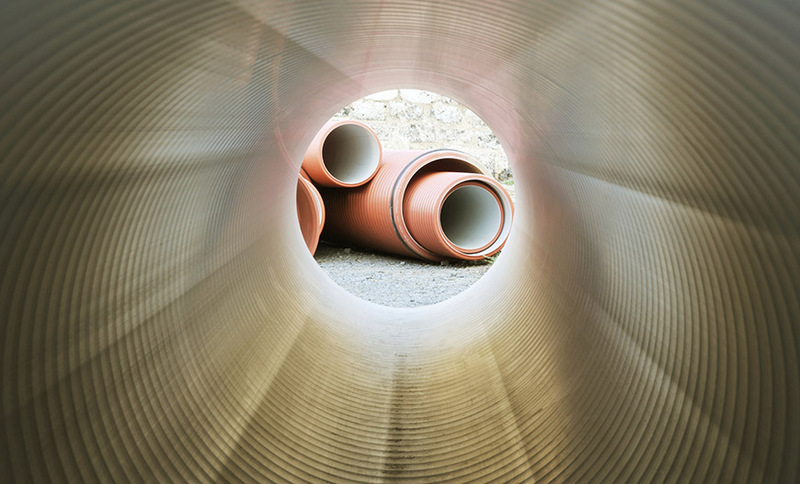 Surface water drainage sustainable drainage systems such as rainwater harvesting, attenuation tanks, soakaway systems, drainage channels and waterways. Installation of large sub-ground tanks, petrol interceptors, sprinkler systems. Trenches for incoming utilities including ducting and attendance work. Local Authority sewer connections in headings (tunnelling).